As my new year resolution, I'm trying to get back on track with my blog. So... I'd like to share today a free digital collage sheet with grunge alphabet letters. Look, how cute a personalized pendant looks with such letter :) And it's so easy to make. Just follow this tutorial! There are only couple days left until Christmas holidays which I'm so so waiting for :) I hope you, dear readers, are also excited about this holiday... I assume, all decorations are ready, and gifts are wrapped up. And today, I'd like to share a printable banner which can be like a final touch to your home decorations. So you just need to download the images, print them, punch holes and attache to a ribbon. And it's ready! There are 7 digital files in JPG format: 1, 2, 3, 4, 5, 6, and 7. Every letter is 4x6 inches. I would recommend to print them on pretty much heavy paper on laser printer for best results. 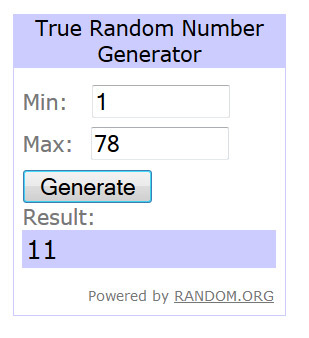 And the winner is number 11! heather R.
4. 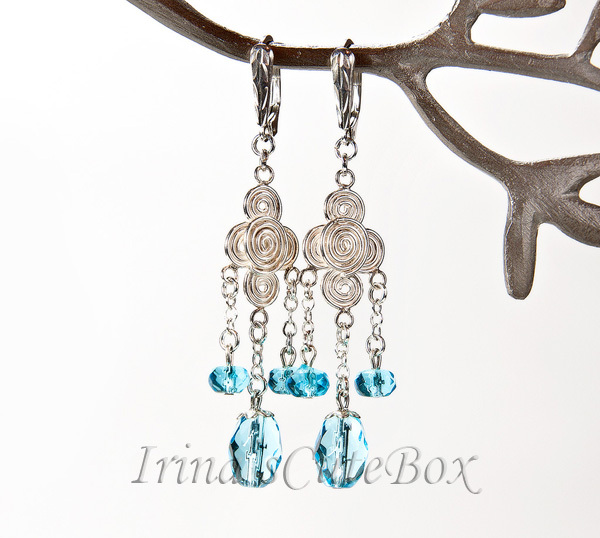 Share this giveaway on a Facebook, Pinterest, Twitter, Google+, and other social networks. Blog about it. Well... just spread a word :) Than comment this post with links to the shares in separate comments. Don't forget to provide your email, so that I can contact you:) Every comment is 1 entry. Please, keep in mind! All your shares must be public. More shares -> more comments to the post -> higher chance to win :) Posts which are not comply with the rules will be removed.Comments which are not complying with the rules are not participating in the giveaway and will be deleted. Every comment will be assigned with a number. Entire list is available by this link. This giveaway is open world wide and will run from until September 7th, 2014. And the lucky winner will be announced on September 8th, 2014. It's been a while since I was blogging last time...Life is slightly changing for me, and I'm becoming more and more overwhelmed with daily routine. 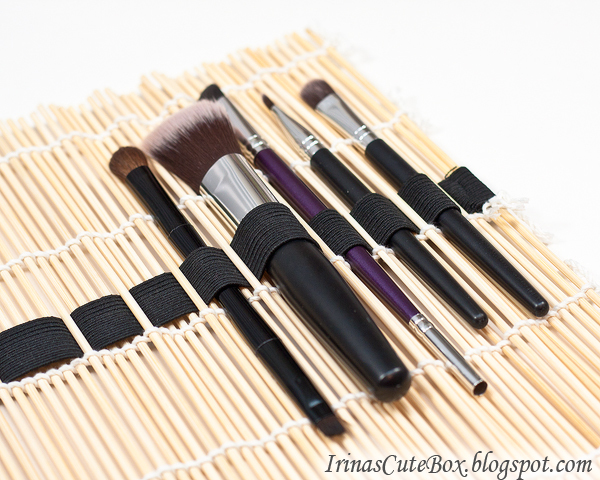 I'd like to share a great tutorial from Katrin from KatrinShine shop on Etsy which she shared with me pretty much long time ago. Sorry, Katrin... I really didn't have time to post it earlier. So... today's tutorial is about how to make a shabby chic wooden tray. Several weeks back, Kate who is running YarnStories shop on Etsy conducted a giveaway for 3 spools of yarn. I shared the link to the giveaway on Facebook just because I wanted to help her to spread a word about it around my Facebook friends. :) And I was really surprised when I won this giveaway. YAY! I have a friend who I've never met in person, but we chat a lot on Internet :) I really feel that we are close and know a lot about each other just because those online chats... Her name is Svetlana from NESWeddingGarden. 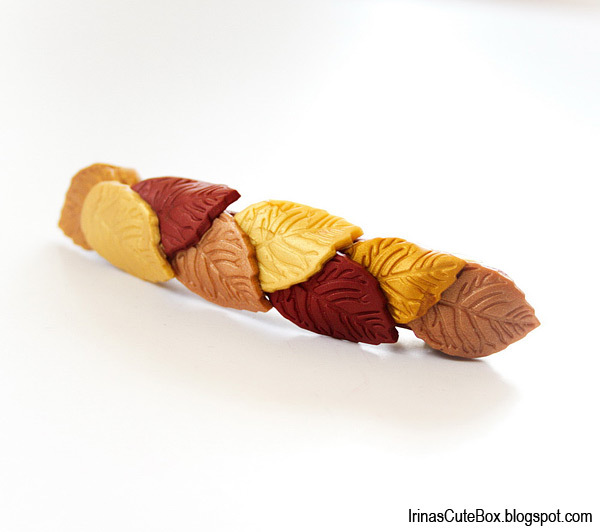 We like to share our craft ideas, give advises to each other, and generally chat about anything in our lives :) Recently, Svetlana shared a tutorial how to make leaves of polymer clay and how to use them in craft. 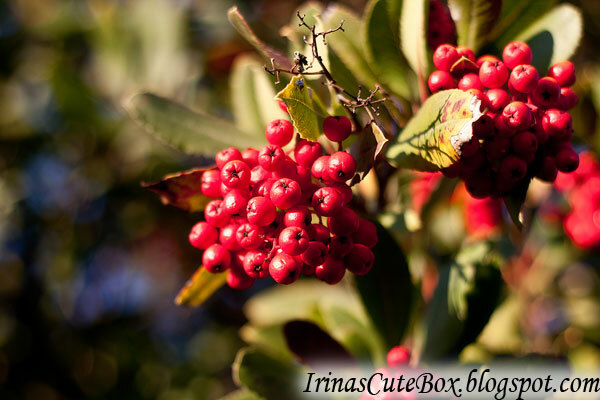 Fall berries on the bushes are still hanging while new flowers are beginning to bloom. 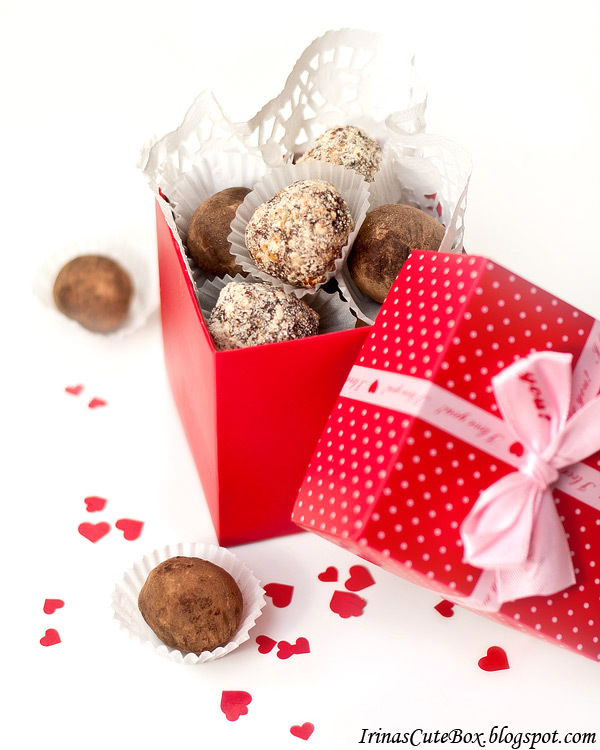 Look at this great box of home made chocolate truffles which are really easy to make. And also, the gift won't be inexpensive if you are on tight budget. Follow the recipe to make the delicious chocolate truffles.